Tata Consultancy Services provided 5 day training to 1 faculty members of the college: Sri Subham Dutta on "Campus to Corporate". This training was imparted to the final year students from 26/04/18 to 15/05/18. 27 final year students completed the training programme successfully. 39 final year students was selected to join the Tata Consultancy Services in a campus interview session held on 16/05/18. 16 students got job offer in the recruitment drive by TCS. Tata Consultancy Services provided a 5 day training to 1 faculty members of the college: Sm Praytasha Agarwal on "Campus to Corporate". This training was imparted to the final year students from 25/04/17 to 13/05/17. 25 final year students attended the training programme. The final year students (2015-16) were provided extensive training on "Campus to Corporate" under the guidance of Tata Consultancy Services in April-May, 2016. The students are awaiting the final interview session to be held in the College campus. 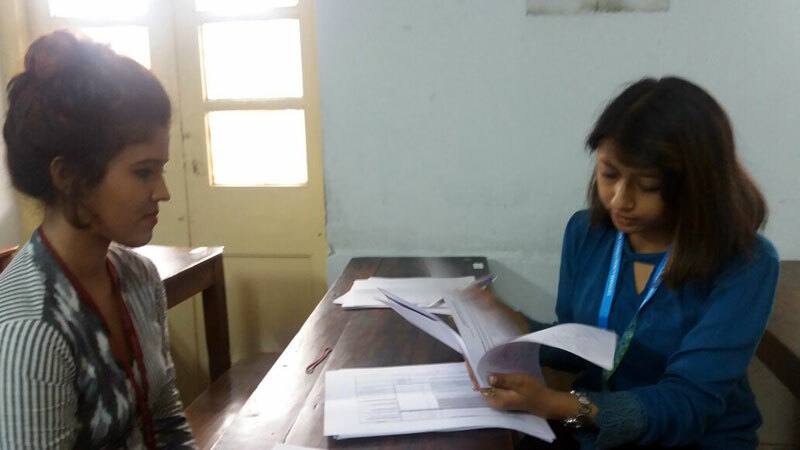 A Research and Consultancy organization based in Kolkata organized a selection procedure for "Junior Research Analyst" on 13th & 14th May, 2016. Several final year students were selected for the job, both on full time and part time basis. The list of selected candidates based on the written test and interview conducted by Tata Consultancy Services are mentioned below. The list of selected candidates based on the written test and interview conducted by Imperial Research & Consultancy Services are mentioned below. We will shortly communicate the Date of Joining to management of the college and other relevant details. Tata Consultancy Services have offered jobs to 12(twelve) final year students of 2014-15 session after providing a training on Corporate Employability Skills in February, 2015. In April, 2015 Lowe Lintas & Partners, Mumbai, have conducted selection session for its 18 months Apprenticeship Programme (a learning initiative) enabling all round training in communications and corporate life. In this All India Recruitment drive to select 25 students, one final year student of the College got the chance to experience the training. IQST (Institute for Quality Skill Training) conducted a screening process for jobs in more than 20 companies representing the Airlines, Banking, IT/ITes, Hospitality and Retail Sector in May, 2015. 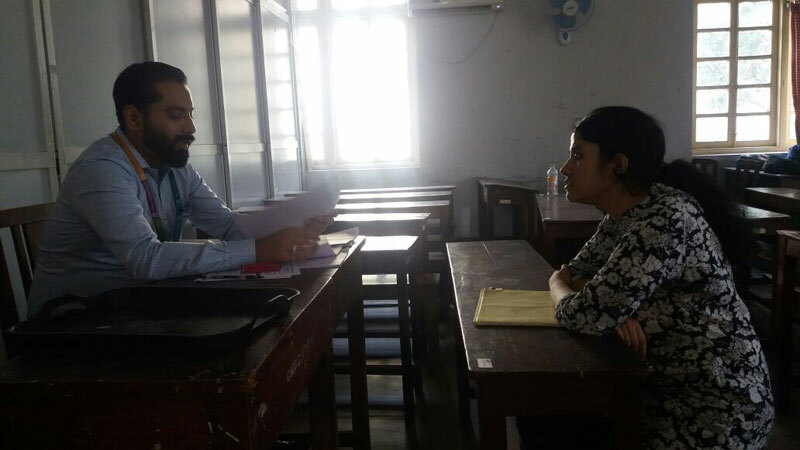 The final round of interview was held in June, 2015 where 14 final year students were placed in various organizations.